Inevitably in an Art of Hosting training someone will ask about how to bring AoH patterns and practices to a group or organization that is not familiar with AoH and may not be ready to receive them with open arms. When we say, “That is when you use ‘stealth hosting’”, people laugh and the room lights up. Jerry Nagel and I, and colleagues we co-host with regularly, almost always start an AoH training with PeerSpirit circle practice. It sets the tone for the whole training. While most people love entering this space, find the opening practices thoughtful and calm, slowing the frenetic pace many are caught up in, inviting people to take a breath, to show up in the fullness of who they are, the thought of bringing it to their organization, understandably, gives them pause. Art of Hosting uses language that is not a part of the organizational cultures many people work in, that is not familiar and can sound strange. Hosting. Harvesting. Container. Collective intelligence. Not to mention World Café, Open Space or Circle Practice. Then there is the use of a talking piece and a bell. The use of language is purposeful and, we are really clear, it is not necessarily the use of language that allows these practices to be successful. It is the intention with which we bring them. We might never use the terminology of AoH with a client as we are not interested in promoting any particular practice as much as we are interested in meeting the needs and outcomes of the work we have identified with the client. 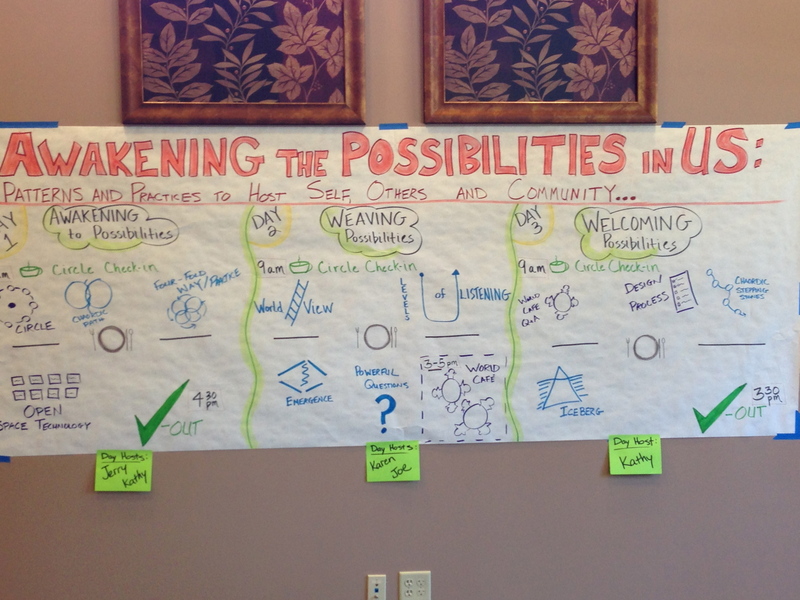 When we talk to the client about the outcomes, we can often offer them a range of ways to get to outcomes. They can be quite receptive when they see the link to what it is they want done. Many participants in a training see the possibility of starting to bring AoH practices using check-ins and check-outs, but the idea of naming circle practice or bringing a talking piece feels intimidating and risky – and we get that. We offer there is no need to name circle practice and you can use or not use a talking piece, but you do need a good question. We suggest not using the same question all the time as it can grow stale and in anticipation of the same question people can tune out. If you tune the question into the purpose of the meeting it is useful and can be a great place to start. If you do use a talking piece, then using something that is either playful and fun or related to the organization is a great place to begin. This can be done in a light hearted but intentional manner. You can preface it by saying, “We are all here physically but sometimes it takes a few minutes to bring our attention to the topic at hand. Today we want to try something a little different, to begin with a check in to help us do that, to bring our full attention to the task at hand.” We might say at an AoH training that we want you to bring the fullness of your humanity. That might not work in your team, but turning our attention more fully to the task at hand might get better mileage. If you want to use a talking piece you can introduce it quite simply. “Just to make sure we all have a moment to collect our thoughts and speak without interruption, let’s use a talking piece. When you have it, it is your turn to talk. When you don’t have it, it is your turn to listen. We’ll send it around the room until we have all had a chance to speak.” Get people’s permission and it will feel less impositional. Often we are sitting at a table rather than in a circle of chairs and there is nothing wrong with that. If using a talking piece feels too risky or strange, you can simply say, “It would be good to hear everyone’s voice here before we begin, so let’s go around the table one at a time to answer our question.” The key is to re-enforce and honour the practice. If people continue to talk all over each other, then it can defeat the purpose. But if you can interject gently or humourously, you can bring things back on track. It is not to control what is happening, but it is to invite a flow that achieves the objectives you have for the practice. There is clear research that the sooner people are invited to speak in a meeting, the greater the likelihood they will continue to contribute. If this doesn’t happen, there is a greater chance the dominant voices will, well, dominate. While it might seem strange at first, invariably your meeting participants will notice that the meeting has a different quality to it than when they jump right into item 1 on the agenda. Before long, people are often asking to begin with a check in. The same with a check out. It doesn’t have to be long and it can seal the meeting before everyone wanders off to the next meeting on their schedule. For other methodologies you might want to use, you can strategize good ways to bring them into practice. From our own experience working with clients, we match outcomes to methods. 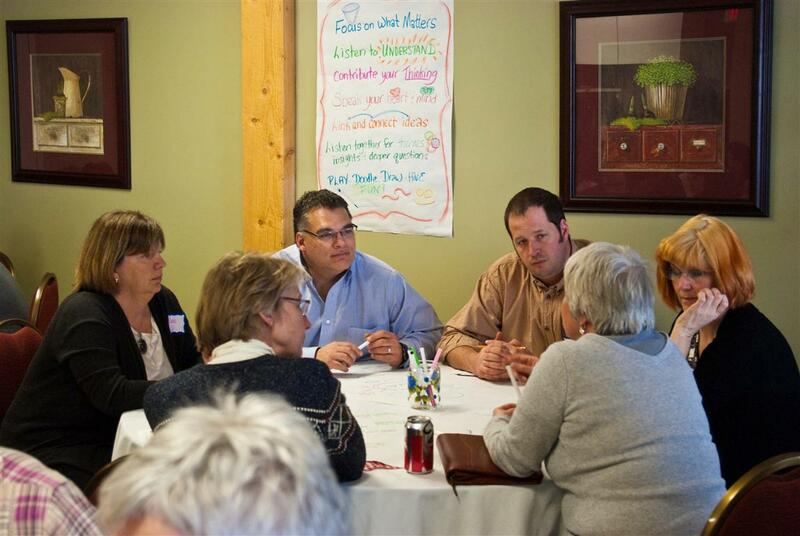 If a client wants to connect people, allow them lots of opportunity to talk with each and get to common themes and patterns on a particular topic, then World Café could be a good option. If they want to engage people in ideas, get commitment to initiatives or get to issues and opportunities you don’t know exist, Open Space allows participants to create their own agenda and follow their passion to the ideas that have the most energy for them. In teams and organziations we’ve worked with that are experiencing a lot of tension and want to resolve it in a healthy way, circle is a good practice. I once did a World Café with a window installations company with the whole staff including the installers. The purpose was to identify the biggest irritants in the work environment and causes of delays in their ability to get installations done in a timely fashion. We didn’t call it a World Café and they certainly didn’t need 20 minutes per round of conversation but we did have small groups and we did mix them up between rounds, using questions that got us to our end objective, which was their list of priorities to be addressed in that year by the company leadership. If beginning with your own team is fraught with anxiety, find another environment to test out and experiment, to grow your skill with new patterns and practices. Work with another department or in a voluntary capacity. And, there are good reasons we say, don’t work alone. It is always easier to share the risk, plus we are more creative, when we work with other people. And, we have each other’s backs. You can make it fun and stay tuned into outcomes. The more you try it, the more success you have, the more you will trust the methodologies to deliver. Look for success stories to share with your team or your boss or whoever it is that might need to approve a new way of moving forward. We are capturing a few under the category of Art of Hosting Works here on the Shape Shift blog – small inspirational-you-can-do-it-anywhere examples to long-term projects. The language we choose with Art of Hosting is intentional. It signals a different approach, a different way of thinking about and doing things. However, if we become attached to the language, we risk losing the intention of what we are doing – bringing people together in different ways, to engage them more fully, hear them more clearly and find connections, inspiration and ideas that might not have existed before. Take some care. Stealth host any opportunity you get. And we would love to hear and share your success stories too. Check-in and check-out processes are not just frivolous time wasters in our meetings. If they feel that way, something is probably missing. Wicked questions help shape powerful processes. The shaping of questions in a thoughtful, purposeful and intentional manner increases the likelihood of them being powerful. This is the second post on powerful questions, the first one contained general thoughts about shaping powerful questions. This post focuses on check-in and check-out – processes, so fundamental to the work we engage in and setting context for what we do. The greater clarity we have about the purpose and intention of the overall work and the process we are choosing to use, the greater the likelihood of crafting a question that does exactly the work we intend it to do. Check-in and check-out processes are used very intentionally and in all kinds of settings. People who come to an Art of Hosting training are often introduced to check-in and check-out for the first time. There are many forms of check-in and check-out. If we’ve done our work well, these processes will have been experienced in a variety of ways – through the use of words, body, music and using varying lengths of time from a couple of hours or more to a 10-15 minute process. Many people leave a training seeing the possibility of bringing a check-in process to their team or meetings but wondering exactly how to do that well. Using the same question all the time eventually wears out its appeal so it becomes important to hold attention and keep things meaningful and relevant to bring new questions at least periodically. It keeps things fresh. Which brings it all back to purpose and intention. In an Art of Hosting training, we use a check-in process as we arrive and settle in together. Usually this is planned as a longer process, wanting to dive deep together as we set the context and container for the whole three or four days we are gathered. We intend to begin well as we arrive, meet each other and understand individual and collective intention for this training. Not only do we use good questions for this initial check-in, many of us also engage in the fundamentals of good circle practice so we set our container well and with depth. A little teach on circle, the use and power of a talking piece and the agreements of circle set the stage well for the work we want to do with each other. Our greatest and best resources on good circle practice come from our friends Christina Baldwin and Ann Linnea at Peer Spirit. When we do this well, it is common for unexpected and beautiful things to arrive in our centre from the hearts, minds and souls of participants. Often times check-ins on other mornings are simply to bring us into the space together. Sometimes we don’t even use words but invite a physical movement or embodiment check-in. Sometimes it is music. It is whatever fits well with the overall theme and flow of the day and brings us fully into the space. Check-ins also do not need to be done with the full circle. Sometimes we use dyad or triad interviews or conversations to allow the time for people to go deeper in small groups. Sometimes we might invite people into a walk with each other. Just like we use check-in to bring people into the space, we use check-out to bring some closure or convergence to a day or a multi-day process. Doing a check-out doesn’t necessarily mean bringing everything to a nice tidy close but it could. Check-out provides an opportunity for good reflection. Where are we at, individually and collectively? What is alive and present in the room? Is there anything in particular we need to be paying attention to as we revisit our design for what’s next? What is resonating for people? Are we in a groan zone? Are we eager and excited for what’s next? Was there cool learning that took place that we want to provide people the opportunity to reflect on more deeply? And, like the check-in process, sometimes we are not wanting to use words. Sometimes we use dance, embodiment, other physical movement, a series of claps or other imaginative ways to close our conversation or our day. A good thing to remember, please don’t confuse depth with length of time of a process. I’ve been part of many processes where there was not a lot of time available, but depth was achieved because of the care that went into thinking about purpose and intention and crafting a wicked question to guide the process. What About the “Real World”? This is one of my favourite questions – how to practically apply what’s been learned about check-in and check-out to “real world” situations, like my two hour staff meeting, my three hour partners meeting, my team that only wants to get right down to business, with a group of high powered individuals, senior leadership in an organization or in government? Especially for folx who say, “that dance check-out was really nice but I could never do that with my group.” And, of course, you wouldn’t want to go back to your organization and use some of those things that seem a bit too out on the edge. But when you first try to use these processes, sometimes the very notion of a check-in or a talking piece is “out on the edge”. Look for openings and invitations and step into practice in the places where greatest opportunities exist to try even some little new thing. Sometimes bringing a check-in and check-out process to your meetings or your team is the simplest way to begin to practice on an ongoing basis and it can be done without great fanfare. “The purpose of our meeting is…. Before we dive into the agenda, it would be great to hear a bit of what you are observing in your world that relates to our topic this morning.” Or, pay attention to what is the best question that can refocus your team or your meeting on what is important and link people’s passion or interest with the topic at hand. It is amazing how a few minutes doing that can shift the entire feel of a meeting as people pay more attention. Work the question you want to start with. Will it generate the kind of thoughtfulness you are hoping for? If not, how can it be nuanced – or sometimes completely thrown out in favour of a better question – to do the work you intend it to do? How much time do you have for your check-in? With a long time frame of meeting – a day or more, you have more time to begin well. With a shorter meeting – as little as an hour or two – you can still begin well, just be conscious of the nature of the question you are asking. The better you begin, the better the quality of the meeting, usually with better results in a shorter time frame. I know from my own experience, that when the talking piece is not used often their are people who choose to stay quiet even when you invite all voices and then it is harder to re-invite their voice. And it is amazing at how appreciative people become around using a talking piece. Yes we can, and do, use check-in, check-out and virtual talking pieces in our conference calls. And, yes, it works well there too – shifting attention and quality of our experience. 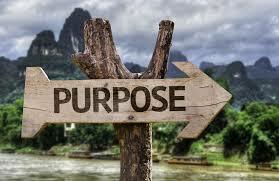 The main points are the same across these different categories: purpose and intention, a question related to purpose and intention that you’ve worked a bit to make it wicked and powerful because you’ve sat with it to sense into whether it will do the work you want it to do. Where are your openings and invitations? The more you find them and accept them, the more you will find yourself in a practice that no longer feels risky but now feels fundamental for powerful process. The more the shape of your world will have shifted and before long you may find yourself not just an experimenter but a practitioner.